"This is a record of hate far more than of love," writes Maurice Bendrix in the opening passages of The End of the Affair, and it is a strange hate indeed that compels him to set down the retrospective account of his adulterous affair with Sarah Miles. Now, a year after Sarah's death, Bendrix seeks to exorcise the persistence of his passion by retracing its course from obsessive love to love-hate. At first, he believes he hates Sarah and her husband, Henry. Yet as he delves further into his emotional outlook, Bendrix's hatred shifts to the God he feels has broken his life, but whose existence at last comes to recognize. 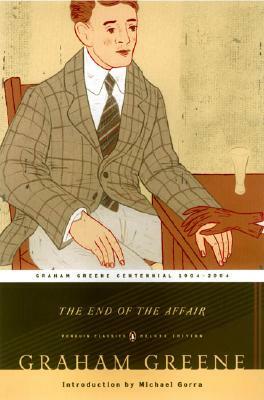 Originally published in 1951, The End of the Affair was acclaimed by William Faulkner as "for me one of the best, most true and moving novels of my time, in anybody's language." This Penguin Deluxe Edition features an introduction by Michael Gorra. Michael Gorra is a professor of English at Smith College. His books include The Bells in Their Silence: Travels Through Germany and After Empire: Scott, Naipaul, Rushdie.